The Old Town is the oldest section of Riga as well as the center of the city. It is the city’s most popular area with tourists. In 1997, Riga's historic center was included in the UNESCO World Heritage List. The Old Town has highly diverse architecture, and the majority of buildings have the status of a cultural monument. The city's architecture represents various periods - Romanticism, Gothic, Baroque, Classicism, and Modernism. After the restoration of the independence of Latvia, many buildings in the Old Town were reconstructed or rebuilt to restore the historic look of the area. The most impressive buildings in the Old Town are the Riga Cathedral and St. Peter's Church, offering a wonderful panoramic view on the city of Riga from a 72 meter observational tower. The Old Town's streets and squares have numerous restaurants and cafes for all tastes. 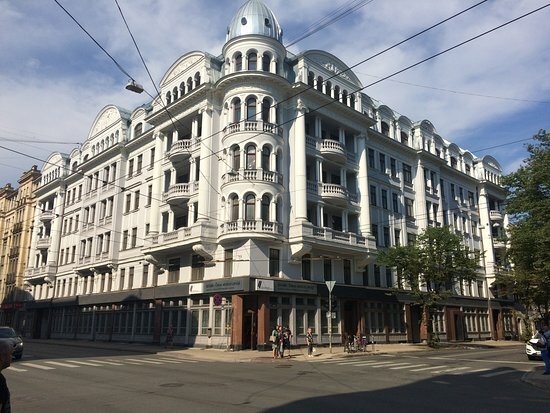 The lovely Art Nouveau building in center of the Latvian capital of Riga is actually a former KGB headquarters known as The Corner House, where political prisoners would be taken and subject to torture and worse. In all periods of Latvia’s history, the Central Market has symbolized well-being and prosperity. Never has it been left wanting; here we have the widest array of fresh catch from Latvian waters, baked goods, fruit and vegetables, herbs and spices, honey, peanuts, almonds and more. The Market satisfies with a huge variety of household goods, cut flowers, potted plants, and homemade handicrafts. In 1997, UNESCO honored the Market with a slot on the “World Heritage” List. The Central Market has a magnificent aura, with its eye-catching pavilions and huge area. The grandiose pavilions can be looked upon as the framework that forms the shape and order of the Market. Latvian National Museum of Art is the most significant depository in the nation for works of art. Reopened in May 2016, the building itself has been upgraded, modernized but its majestic beauty from a long-gone era - preserved. 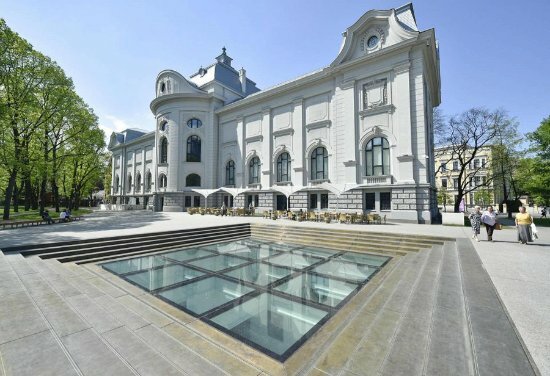 The National Art Museum’s new permanent exposition, marking the fully renovated building’s reopening, is a comprehensive expose on Latvian art in both the 19th and 20th centuries, with emphasis on the various stylistic periods and the artists who were instrumental. Spanning two floors in the renovated main building, complete information is presented that clearly shows the development of Latvian art, focusing on the various periods, those who made it all happen, the highlights of the time. Art Nouveau plays an important role in the historic architecture of Riga; it is mostly concentrated in a neighborhood referred to as the ‘Quiet Centre’, which is a 10-minute walk from the Old Town. It is a gorgeous feature among the historic facades of the city. One of the most impressive examples of early Art Nouveau can be seen at 10b Elizabetes Street - a building designed by Mikhail Eisenstein, the father of cinema genius Sergei Eisenstein. It was built in 1903. The building has an extraordinarily colourful facade. Note the composition of masks, peacocks, sculptural elements and geometrical figures, as well as the bright blue tile covering on the upper levels of the building. Vērmanes Garden Park is Riga's second oldest public park; the numerous benches are always occupied by Rigans and visitors to the city, the historic open-air stage features various concerts, and children have fun on the park's playground. Vērmanes Garden Park is situated in the very centre of the city, surrounded by Tērbatas, Elizabetes, Krišjāņa Barona and Merķeļa streets. Riga's second oldest park was created by donations in early 19th century. Vērmanes Garden Park features various sculptures - splendid four season fountain, majestic stone lions, a monument to the collector of Latvian folk songs - Krišjānis Barons, and a monument to Latvian artist and designer Kārlis Padegs . The garden park turns into a fairy tale during a year's darkest period as it features strings of beaming lamps, music, and giant snow-men. The wooden open-air stage on the Elizabetes Street side is popular with chess players; sometimes it holds concerts and performances of dance groups.